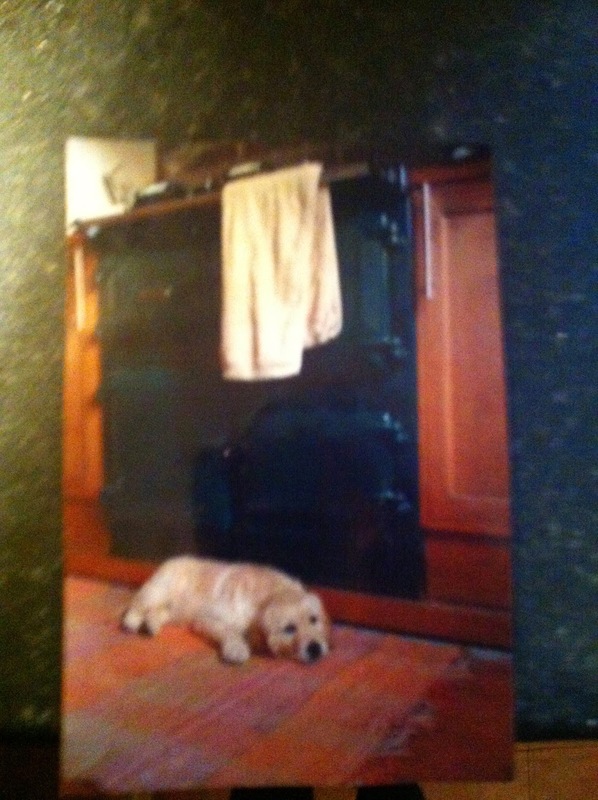 I won't go into the technology behind the Aga, because I don't really know it. What I know is this: it runs all the time, so it is always warm and your kitchen is always warm. There are, on the large Aga as pictured above, four different ovens, each one at a different temperature--one for baking, one for roasting, one for warming and one for simmering. The hotplates also have different temperatures on different area of the hotplate--hotter in the centre and cooler on the outside. The other thing I know about Agas is they are very expensive. A large new one cost in the region of £12,000 ($20,000) which is frankly a ridiculous amount of money to pay for a cooker. A refurbished one is £5000-£7000. So I pretty much understood an Aga was and would always be out of our price range. Even if we could afford it, I would have trouble justifying spending that amount of money on an appliance. So imagine my stunned delight when I found out the Vicarage came with a Rayburn, which is like an Aga except slightly different (don't ask me how, they look the same!). 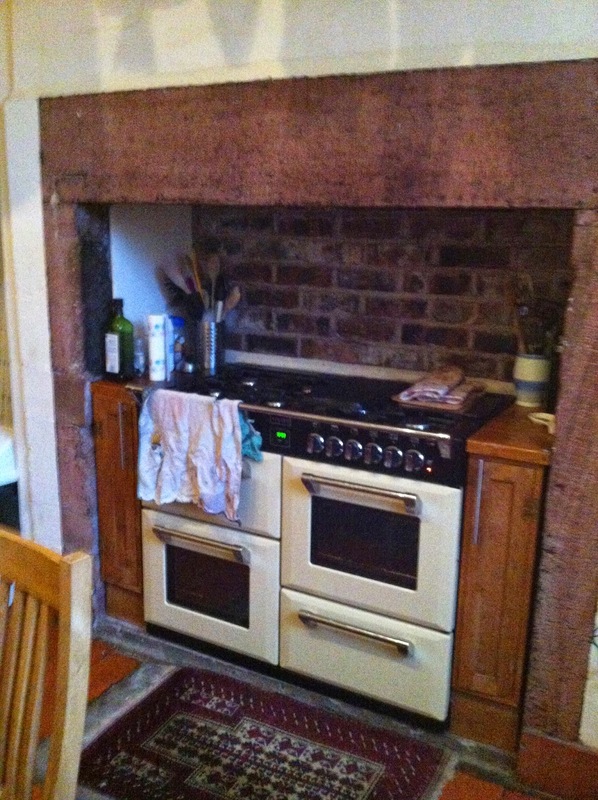 I couldn't believe I was actually going to move into a 200 year old house with an AGA, or at least an Aga-like Rayburn. I soon discovered that cooking on a Rayburn was tricky, and running it all the time when it is fuelled by oil is disastrously expensive. We had a little digital meter in our kitchen that counted down the amount of oil in the tank outside from 9 to 1, when it started blinking a red light. Every morning I came into the kitchen and glanced at that meter in trepidation, willing it not to have gone down a number. In the coldest part of winter it went down once a week, which was extremely stress-inducing. We ended up having to turn the Rayburn off unless we were using it which meant a.) The kitchen is not all warm and cozy b.) It took 20-30 minutes for the oven or hotplate to become remotely warm. So spontaneous baking or cooking was not in the cards. However, I still loved it. 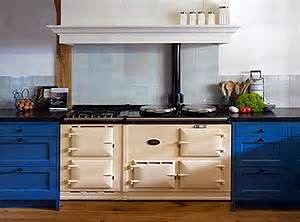 Because there is just something so cozy and welcoming about a Rayburn or Aga, even when they're off and stone-cold. It doesn't make sense, and some people hate them, but...! I was insistent on keeping ours. Until it broke. And broke again. And kept breaking, with the only Rayburn repairman in the entire country living an hour and a half away and leaving the kitchen covered in soot and oil when he fixed it. [Repairmen don't seem to feel a need to clean up after themselves here, I've noticed]. And then the Rayburn broke at 10 pm on Christmas Eve, and my love for our cooker was sorely tested. We ended up cooking for three months on a portable stove that was kept in the pantry. And then we ended up getting rid of the Rayburn, because fixing it was going to cost thousands of pounds and it just wasn't worth it, no matter how much I loved the idea of them. So now we have the best possible alternative: an electric oven/gas stove that LOOKS like an Aga. Sort of. And it cooks quickly and has four ovens and eight burners, and well, I'm happy, even if I still hanker after the real thing. So instead of cooking on an Aga, I write about them. Every book I've written that takes place in Cumbria has an Aga in it, and Rainy Day Sisters (see post below) even has one on its cover. Because I still love them. I just don't want one anymore. At least, not much. I think I remember an Aga in The Vicar's Wife. I didn't research it though, but pictured what it was. Thanks for enlightening me.